"There is a need for the UN to take immediate actions regarding this, because nothing came out of giving time so far. They said that they will repeal Prevention of Terrorism Act but they haven’t done anything yet. If they won’t do a small thing like that, do you think they would fulfil the rest of it?" "Giving time won’t bring anything to Tamils. It will only benefit the government." 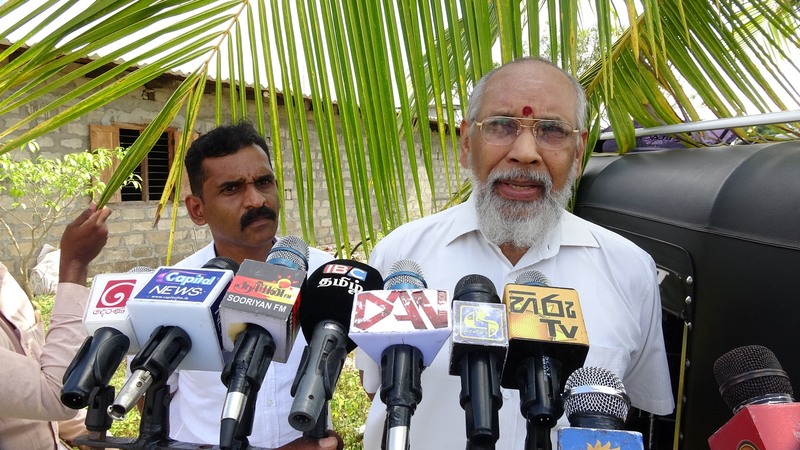 Wigneswaran, who is the current general secretary of the Tamil Makkal Kootani (TMK) was speaking to journalists and participants at the TMK's youth wing event in Mullaitivu. "When they were giving time two years ago, I asked Nisha Biswal who came from the US, 'You are giving time. You haven’t looked at what has been done so far. You must make them do these within a particular time period.' She said, 'Yes, we will definitely do that'." "I also asked her, 'You will tell them and leave. What would you do if they fail to do it?' The US said that they will always be there for us. But the US is not here now. They left. Now if we give more time, if this keeps dragging on, the world will forget our issues." "Many countries faced many issues and when those issues dragged on, no good came out of it. Hence, we are against giving more time," he added. The decision has been met with anger and frustration by Tamils in the North-East, especially by families protesting for months for their disappeared loved ones and land, who have pointed out the government's repeated failure to take measures towards meaningful implementation of the resolution. 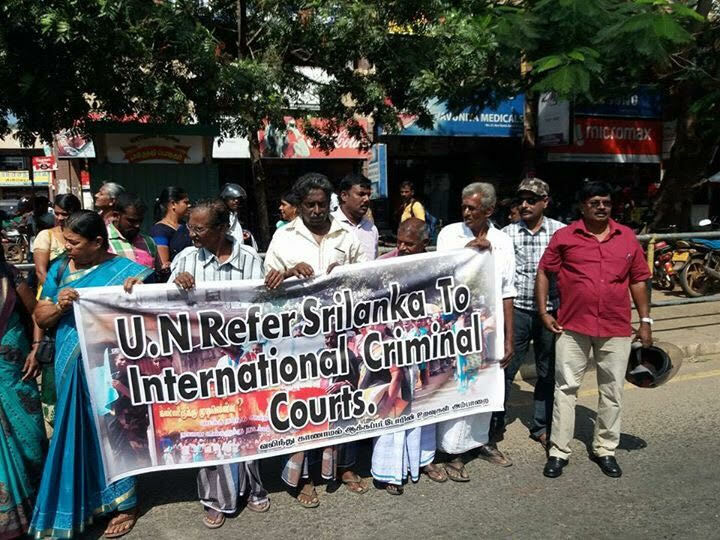 Despite co-sponsoring the resolution, which calls for a hybrid mechanism of justice with international judges, several key figures within the then coalition 'good governance' government have repeatedly told the Sinhala masses they would never allow such a mechnism.